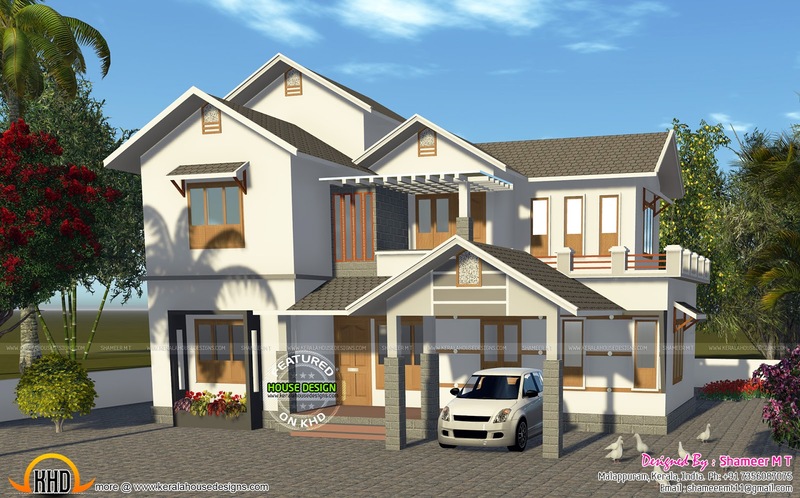 2435 Square Feet (226 Square Meter) (270 Square Yards) 4 bedroom sloping roof house. 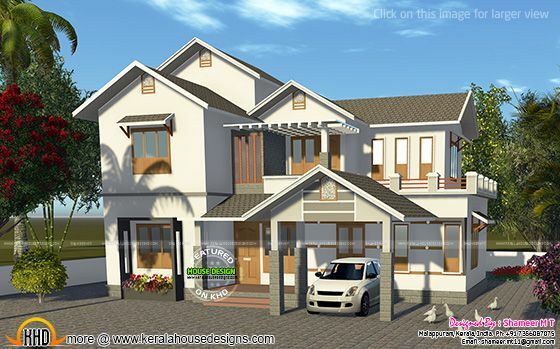 Designed by Shameer M T, Malappuram, Kerala. Ground floor : 1661 sq.ft. First floor : 774 sq.ft. Total Area : 2435 sq.ft.